Definition at line 85 of file llagentpilot.h. Definition at line 90 of file llagentpilot.h. 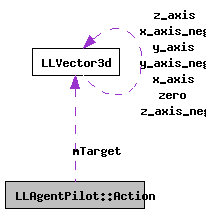 Referenced by LLAgentPilot::addAction(), and LLAgentPilot::load(). Definition at line 91 of file llagentpilot.h. Definition at line 89 of file llagentpilot.h.